Home » Free Recharge » Free Services » Get 100 Rs. recharge for 50 Rs. Get 100 Rs. recharge for 50 Rs. Get Recharge worth Rs 100 for just Rs 50 @ FreeCharge. Valid on All Prepaid Mobile & Postpaid Bill Payment! How to buy the coupons? Goto times deal and buy this discount coupon for just 5 rs. You can buy upto 4 coupons at a time on payment page. Check your mailbox for coupon details. 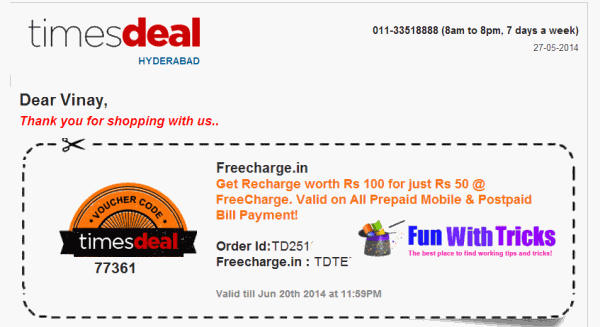 Upon buying the timesdeal voucher on www.timesdeal.com, customer will get the FreeCharge Promotional code on their timesdeal voucher. Timesdeal voucher will be sent to the users registered email id and registered mobile no. Log on to www.FreeCharge.com from your desktop or mobile devices / Download the FreeCharge Android App. Valid for all products, Post paid Mobile / Prepaid Mobile / DTH & Data Card available on FreeCharge.com. 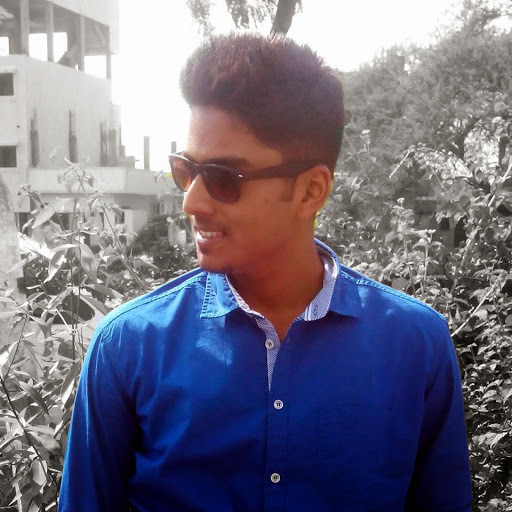 Customers need to select/ enter the recharge amount Rs 100 or above on FreeCharge.com. 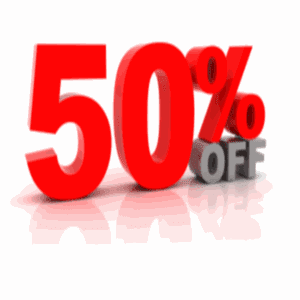 The promo code of Rs.50/- needs to be applied at the payment page in order to avail the offer. Customer will get Instant discount and discount would not get credited in form of FreeCharge Credits. The balance amount has to be paid through suitable payment mode available on FreeCharge.